The Susquehanna River has been a corridor of commerce to the Chesapeake Bay from the time that Native Americans first inhabited its shores, through the canal and industrial periods, and remains so today. The Susquehanna River Watershed provides half of the fresh water entering the Bay and drinking water to over six million people! This driving tour consists of a printable Guide Booklet and companion audio tracks which you can download to your MP3 player, burn to a CD, or access with your QR code reader on your smartphone! The cultural and natural history of the Susquehanna River is centuries long and the impact of the river is longer still when you consider geological time. This tour with audio will guide you through both and suggest you linger when you want to explore more at selected stops, viewpoints, and historic river towns. At Stop #1, play Track #1, etc. Click here (Right click, Save Link As) to download the complete tour audio as one track (28 MB). You will need to pause this audio after each stop. Or, pay online by visiting our Donation page. Select "Join, Renew, or Donate"
Under Gift Information select "Other" and type in $10. Next to "Recurring" select "One-Time"
IMPORTANT! : under Additional Information - We welcome your comments, suggestions, and ideas field, type "This $10 payment is for one copy of the Driving Tour Audio CD" Specify here if you would like the CD sent to an address other than the one you listed under Contact Information. Friends, snacks, and a camera! 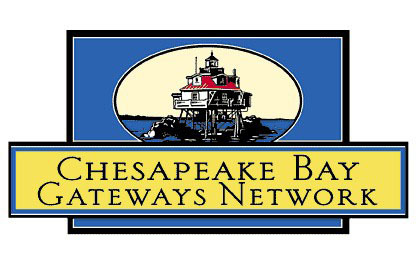 This tour was made possible in part by a grant from the Chesapeake Bay Gateways Network and the Pennsylvania Department of Conservation and Natural Resources.